Registration is now open for the annual meeting and luncheon of the Massachusetts Newspaper Publishers Association on Thursday, Dec. 3, 2015, at Bastille Kitchen, 49 Melcher Street, Boston. 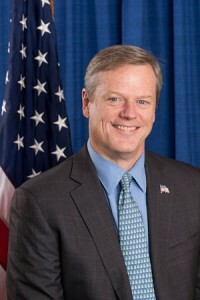 This year’s featured luncheon speaker is Massachusetts Gov. Charlie Baker. 11 a.m. Panel discussion: The Right to Be Forgotten: How Newspapers Should Handle Requests to Take Down What They’ve Reported. The meeting is open to anyone who would like to attend. Registration, which includes lunch, is $90 for MNPA member newspapers and their employees, $95 for all others. Download form to mail or fax. If you have any questions about the event, please address them to MNPA Executive Director Robert Ambrogi, (978) 309-9188, or info@masspublishers.org. Registration deadline is Monday, November 30.